About 5 weeks ago, I bought a new pair of New Balance running shoes. Since I've been taking my mileage up a notch in the past weeks, I decided it was about time for a new addition. After a week or so of searching our site, I decided to go with the New Balance 720. When I first started running, I was a strict neutral cushioning wearer. I thought I could wear anything and everything. Then I tried supportive cushioning shoes, and my world changed. It was awesome. My knees felt better, my feet were more comfortable as I ran, and they were just an overall better fit. I decided to try something new but still in the supportive cushioning realm with the 720, and they did not disappoint. I liked the responsive ride and comfortable fit of the shoe. Not to mention they looked great with just about any of my running outfits (what can I say? I'm a girl!). And priced at under $80, they are at a great price point. I would recommend the 720's to medium frame runners with a neutral arch type or low arch type. And to runners who typically stick to paved roads, indoor/outdoor tracks, or moderate terrain trails. Has the 720 been discontinued? If so, what model is replacing it? 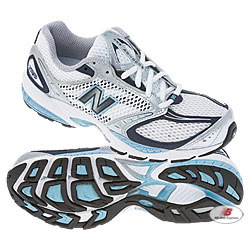 The 720 in 18B was the only NB shoe in my size and now I'm worried I won't even have that choice. Sorry for the late response! No, it has not been discontinued. Please contact me if you are interested in having me investigate size availability for you. How do I contact you? I clicked on your ID and it took me to your page but I didnt' see any contact info. Sometime after I posted, I got NB's latest catalog. The 720 is not in it. Please email me at cassie@nbwebexpress.com, thanks! I am also interested in learning what model has replaced the 720. Can you let me know? I also need to know what model replaced the 720. Can you let me know? Thank you. The 749 is the current shoe available in that style family. Here are the styles available on our site.